For the last two days I've offered advice on managing TV-recording storage in Windows Media Center. But what if your PC isn't equipped to record TV? Those tips won't do you much good. So let's take a look at the missing piece of the puzzle: a TV tuner. 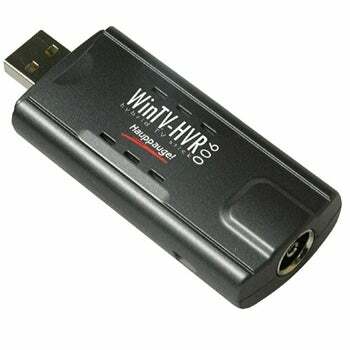 This simple accessory lets you watch and record shows right on your PC, much like you'd do with a TiVo. Although a handful of manufacturers make desktop-PC tuner cards that install in a PCI slot, the easiest option is a USB tuner. ADS Tech, AverMedia, and Hauppauge are among the companies that offer such products, with prices usually running $99 or less. Be sure to choose a tuner that supports both ATSC and NTSC signals so you can connect an antenna (for over-the-air digital broadcasts) or your cable company's cable. Want both? Just add a second tuner. As for the software, for my money there's no better solution than Windows Media Center, which comes preloaded with Vista Home Premium, Vista Ultimate, and all versions of Windows 7 except Starter. WMC makes it snap not only to record, watch, and time-shift shows, TiVo-style, but also to copy shows to DVD and some portable media players. If you have a PC in your den, bedroom, etc., and want to turn it into one seriously good DVR, all you need is an inexpensive tuner.